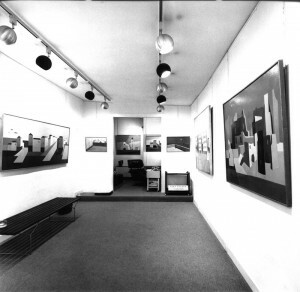 Since 1990, the Cultural Association Vera Pagava (Association Culturelle Vera Pagava - AC/VP), founded under the 1901 law, manage the art collection of the Darial Gallery (Paris, 7th district). The collection is mainly composed of the archives and artworks of the artist Vera Pagava (1907-1988) and the painter Vano (Vano Enoukidze, 1907-1979), and artworks from different artists that were exhibited at the gallery since 1972 and until 1996. • Promote Vera Pagava's artworks through exhibitions, books, etc. View of the exhibition dedicated to Vera Pagava at the Darial art gallery in 1976, in Paris.